This winter may provide musicians with an opportunity to get together with different band instruments and get that old horn out of the closet. Are you interested in getting out that old sax, trumpet, or clarinet? If you are interested and have a suggestion of when and where people could get together, please email me at medic5740@gmail.com. If there is enough interest, more information will be posted here. If there is NO interest, that will be posted here as well. What a wonderful surprise during the fill-up of the car yesterday! The price of gas on the island has come down. The first decrease was 50 cents per gallon and now a decrease of $1 per gallon. The price last spring was $5.49, and now the price is down to $3.99. While more than likely the highest gas price in the 48 states, it is wonderful to have this decrease. Thank you, Island Energies! Coming into town from the Four Corners, you could see the snow, about 1.5 inches on the ground, and the normal views were whiter, but still quite normal. What seemed like ten minutes, but was actually an hour, caused an entirely different picture to present itself. Here are the same two views after the snow began to come down in earnest. Whether ten minutes or an hour, just turn around and the weather and driving conditions will greatly change. 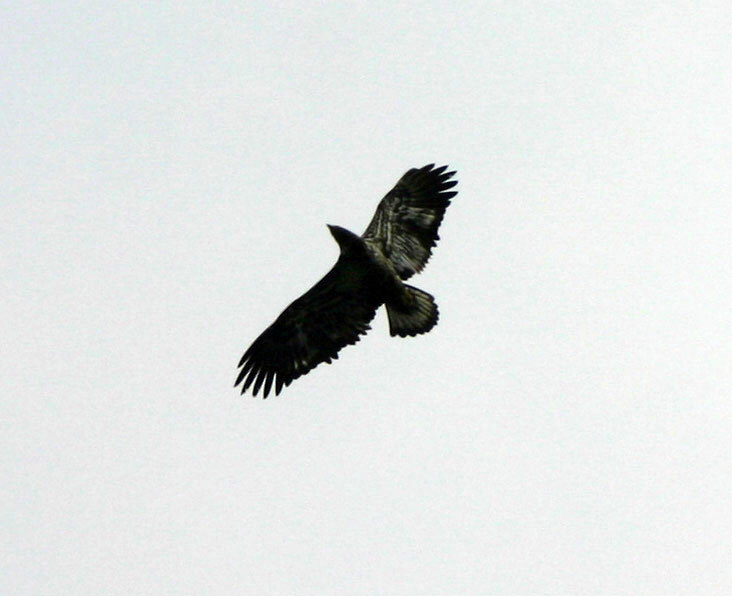 While having a short conversation with one subscriber today, it was amazing to note that this person did not know that each picture on this web site is a thumbnail for a larger version of the same picture. Some long time subscribers simply did not know this, or they had forgotten about it. Although not every picture can be enlarged by clicking on it, most pictures on this web site can be enlarged by clicking on them. The editor of this web site was notified by his anti virus manufacturer that the streaming video solution for the anti virus program has been secured and will be available as a "hotfix." Apparently, there are several anti virus manufacturers out there in cyber land that prevent the streaming videos from showing up on the computer. The only message provided to the user was a "Negotiating" message, and the video never actually played. These anti virus programs were previously seeing the processor activity as possible virus or spy ware activity. MicroTrend, AVG, and Panda anti virus programs have all blocked the streaming video in recent days. There has not been a problem with Norton as far as being reported. Panda will shortly release a "hotfix", but the others are apparently waiting for some customers to complain. So the moral to the story is this: If you have not been able to view these streaming videos over your high speed connection, it might be an issue with your anti virus program. Contact the AV program support service, and report this as an issue. It's not just BINN streaming video that cannot be viewed. It could be any streaming video that is not viewed in Windows Media programs. There is a great volume of good streaming video out there on the Internet for those interested, and your report could make it available to all the AV customers that own the same program that you do. Please notify your anti virus manufacturer if you are unable to view streaming video from this web site. The manufacturer's are able to use the SAMPLE THE NEWS ON THE 'NET link on the homepage and go to the bottom of the page to attempt to access any of the more than dozen video clips that are there. The manufacturer can attempt to duplicate the issues without having to logon to Beaver Island News on the 'Net. Help yourself and others by reporting this issue if you have it. A very nice message was received by this editor from the Panda Anti Virus 2009 support service. It isn't very often that a customer gets thanked for pointing out a defect in a purchased program. These support people were ecstatic when they resolved the issue, and thankful to have restored the ability of their customers to complete tasks on the Internet while still providing a high level of anti virus and anti-spy ware protection. WILL BE OPEN ON A LIMITED BASIS, AS CONSTRUCTION PERMITS. PLEASE CHECK ON THIS SITE TO SEE ANNOUNCEMENTS OF WHEN WE WILL BE OPEN. Osa Cieslak, mother to Britta Cieslak, has passed away in Petoskey. 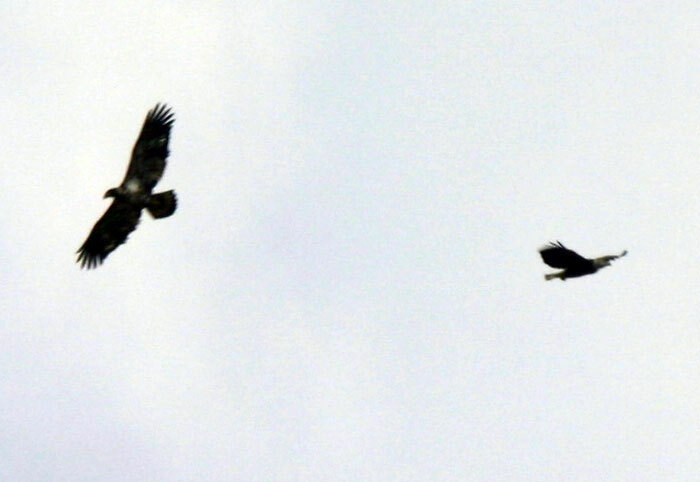 Osa and Dennis (Keech) Cieslak owned a farm out by the township airport here on Beaver Island. More information will be posted when available. 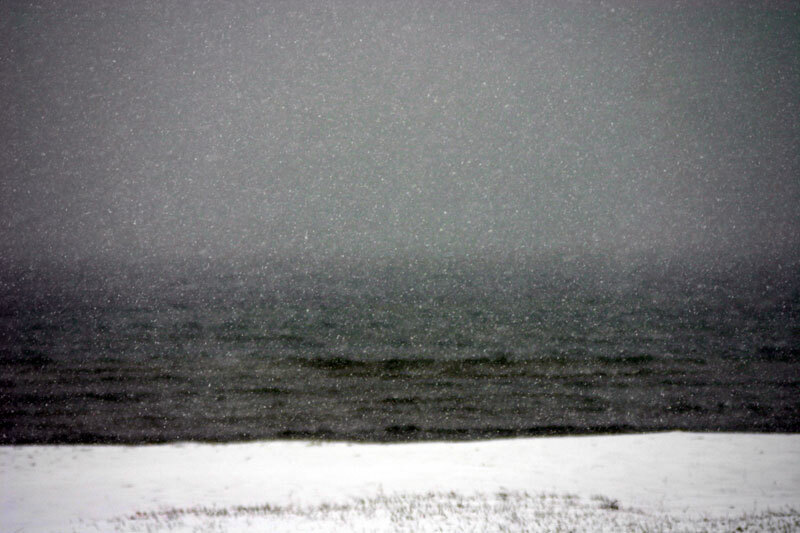 Looking out the mouth of the harbor on Tuesday, November 18, 2008, at a little before noon, a ship could be seen on the horizon. It was not making much progress toward the island, but seemed to be slowly moving in the direction of the two mile buoy. Then, suddenly a smaller boat was launched from the bigger ship, it and it went speeding toward Garden Island. "Curiousity killed the cat" is the saying that fit this situation. A quick drive to Whiskey Point revealed the ship just sitting out there. All that could be seen was the front of the bow. A trip to Gull Harbor didn't seem to improve things much. See Frank Solle's information on this ship and his picture at the above link also. With the winter weather approaching us fast, it is important for the seniors to know the cancellation policy for the senior lunches. It has been decided that the seniors should not be out driving in weather that is too bad for school to be in session. The senior COA Lunch will be canceled, and no deliveries will take place, on any day that the Beaver Island Community School is closed due to the poor road conditions. If in doubt, call the Beaver Island Community Center at 448-2022. Jive at Five THIS EVENT HAS BEEN CANCELED!! MAY BE RESCHEDULED IN THE SPRING. TICKETS WILL BE REFUNDED AT THE BI COMMUNITY CENTER!! Join us Saturday, November 22nd at the BICC for a "swingin' party" to start off the Holiday Season! 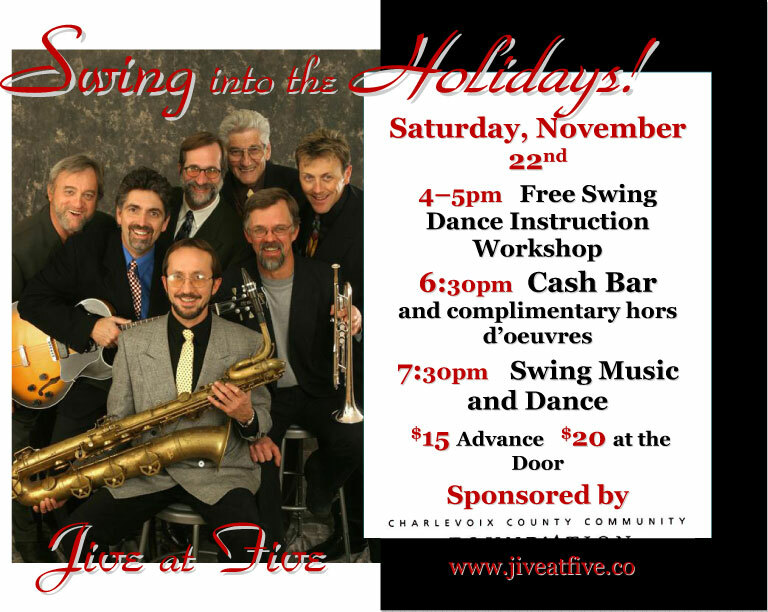 Jive at Five , a 7-piece swing band with a jazz and blues bent, will conduct a Swing Dance instruction workshop from 4 to 5pm for those needing an introduction--or a refresher! ( Experienced swing dancers needed to help us novices! ) Admission to this instructional workshop is free and open to everyone! Come and learn--or teach--a step or two! And bring the kids, too ! Whether it's a nostalgic musical trip back or a brand new experience , they'll have you dancin' and swingin' from the first note! Then go get gussied up, have dinner at the Shamrock ( 15% off with ticket showing, and there'll be an Earlybird special, too! ) and come on back for the real deal-- live performance and dancing starts at 7:30pm! Cash bar and complimentary hors d'oeuvres start at 6:30pm. So swing on over to www.jiveatfive.com and give a listen...then Swing away live Saturday night! Tickets are $15 in advance, $20 day-of/at-the-door. Seating space is limited (due to the dance floor!) so reserve your space now by calling 448-2022, email Ann at biccpartridge@tds.net , or stop in to the Community Center. Sponsored by the Charlevoix County Community Foundation . Our sincere thanks for making this event possible. Supported by the Beaver Island Boat Company . Thank you for the contribution towards the bands' travel. And the Shamrock Bar for providing the bands' dinners and offering patrons a special discount and offering. Additional thanks to Beth and Joddy Crosswhite who have done so much for the BICC, including connecting us to Jive at Five! Skip McDonough , who has once again opened up her cottage for BICC entertainers' lodging needs. And Bob, Sue & Tom Welke who have once again provided a vehicle for band and gear transportation. This is an incredibly giving community! Please come start the Holidays off and celebrate everyone's efforts! Come shop, sample, create and enjoy in an afternoon filled with holiday spirit and anticipation! 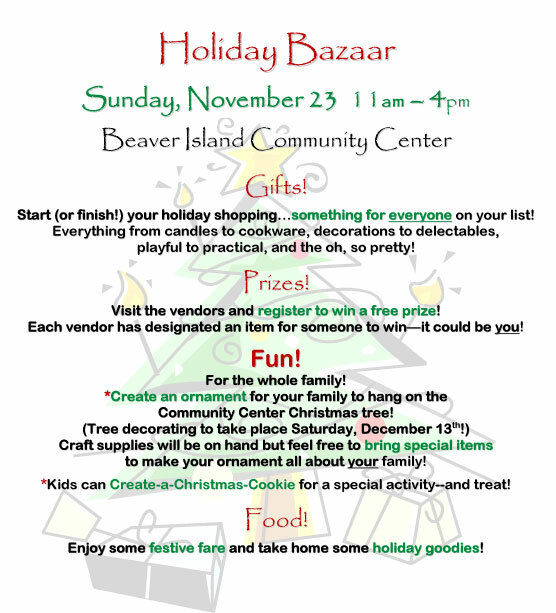 The Holiday Bazaar will take place at the BICC on Sunday, November 23rd from 11am-4pm! Start (or finish!) your holiday shopping on the Island! An incredible array of gifts on display all under one roof for your gift-giving pleasure! Each vendor has contributed an item for our prize drawings and will also have a registration box available for you to enter to receive the free prize! All entries will be combined and drawn from at the end of the day. The more vendors you visit and "enter" with, the better your chances to win! Adult registrants only, please. Limit one prize per person. Kids will have their own special area where they can "Create a Christmas Cookie" for a special activity--and a treat! *Our "official" tree decorating and lighting iwill take place on Saturday, December 13th at 4pm! It will include Holiday music, treats and potential caroling--participants willing! During the bazaar there will be plenty of fabulous food samplings , festive food offerings and holiday goodies to purchase, consume and/or take home for treats or gifts! Join us for an afternoon of fun-filled Holiday spirit Sunday, November 23rd from 11am - 4pm! Questions? Call Ann 448-2022 or email biccpartridge@tds.net for more info. 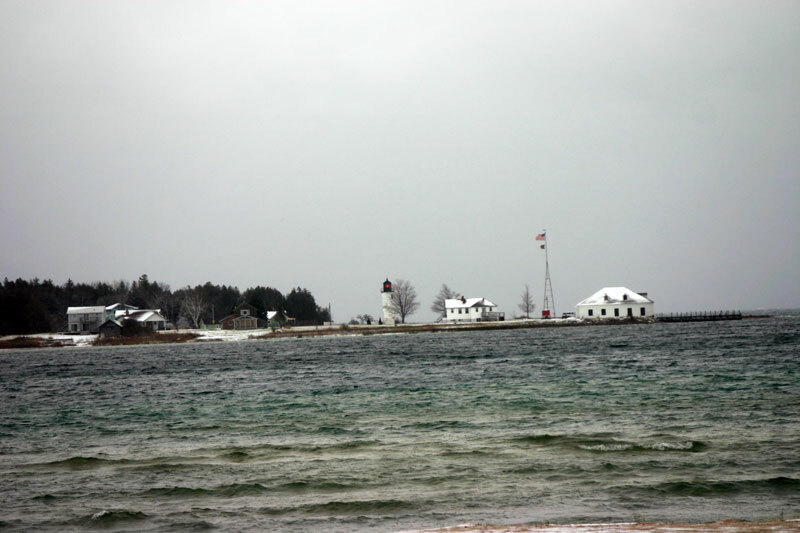 How About Lunch on Beaver Island? On Monday, November 17, 2008, this question was asked amongst a group of four individuals. The conversation might have gone like this. "I'm not sure we better go to Beaver Island. Remember about two weeks ago, we went to Mackinac Island, and I was held by the police in their office for two hours. They were trying to figure out what to charge me with because I didn't land at their airport. Oh well, let's see if Beaver Island is different." 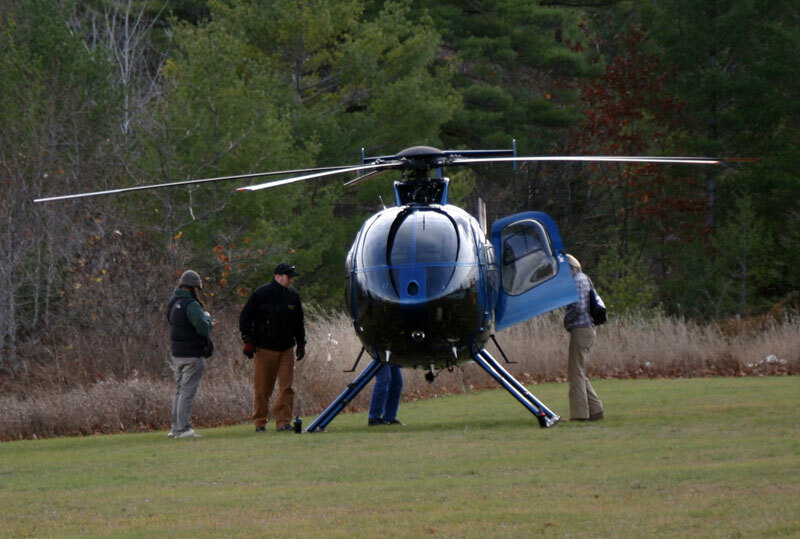 After an entertaining conversation and a good lunch at the Shamrock, the above story was shared by the four people enjoying their lunch and a helicopter ride. Eric Hodgson's answer was, "Of course we're different. We're better." 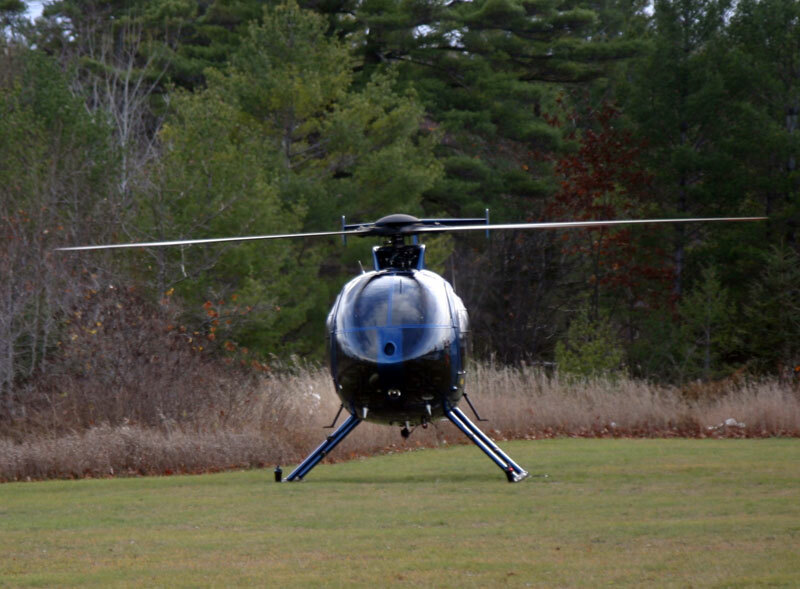 Here's a short video clip of the helicopter lifting off from the convent lawn next to the public beach. Remember, you must have Quicktime and a high speed internet connection to view the video clip. 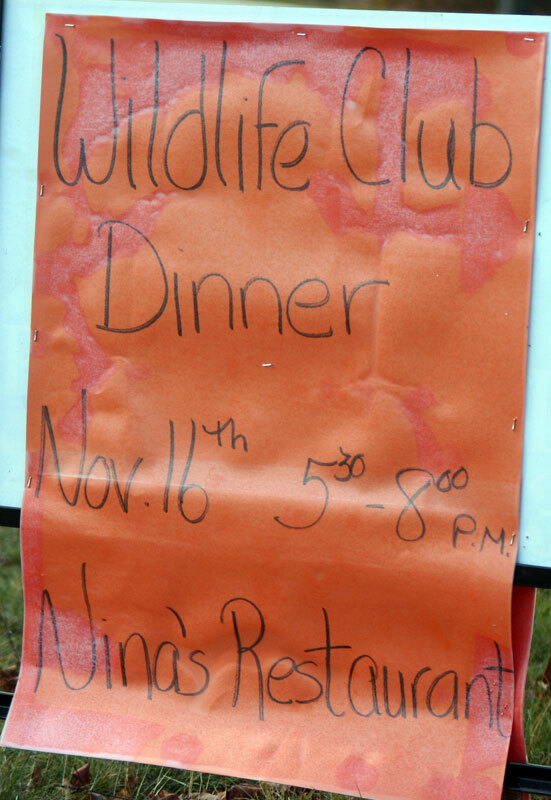 Approximately 115 diners enjoyed themselves at this event held at Nina's Restaurant at the Beaver Island Lodge. What a sight this was! Oh, for a better camera lens what I'd do! 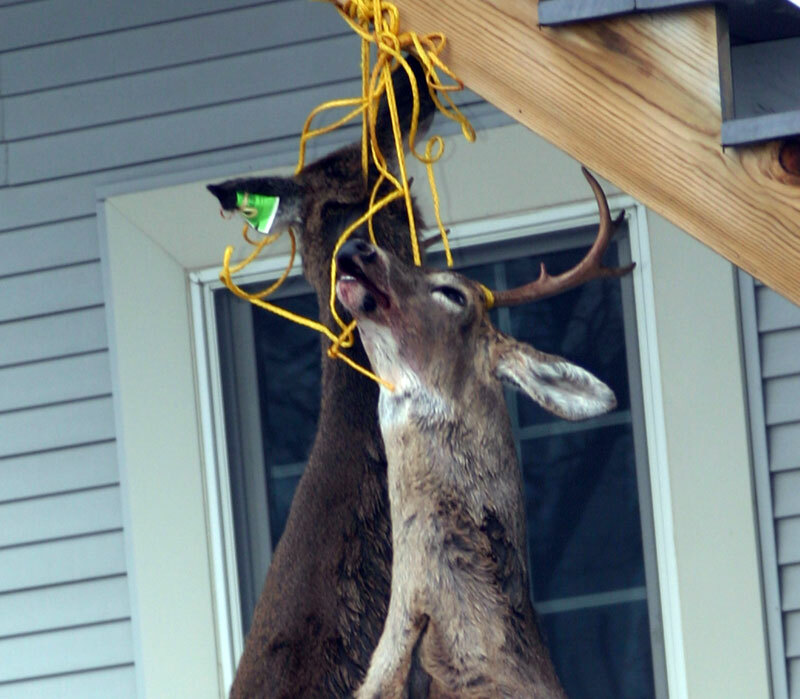 A drive through the St. James Township town area showed no hanging deer at all on November 15, 2008, even though several trips through town were made. With the closing of the Emerald Isle Hotel, the hunters were staying in other places, so a quick look at the Erin Motel, Harbor View II, and all around the harbor area produced not one hanging deer. Perhaps, the deer camps have hanging deer, and the hunters are all still down at the deer camps. 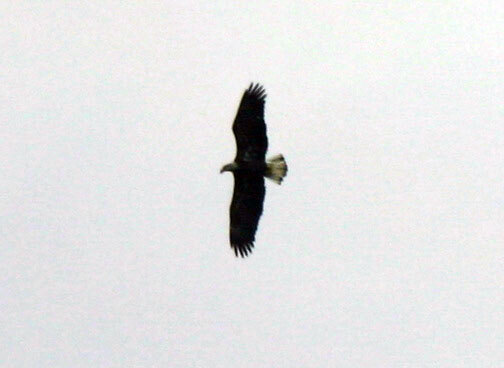 Some crazy people even spent time out on the Beaver Island Golf Course on this opening day. 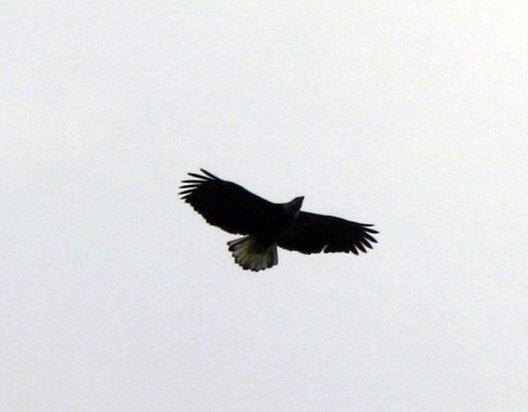 Although it was early afternoon, no wildlife of any kind were seen on the golf course, and no shots were heard either. There were many other social events scheduled for this weekend. Beginning with the BI Community Players play on Thursday night, Donegal Danny's music on Thursday and Saturday, and music at the Shamrock on Saturday, just to mention a few. There is the Senior Dinner from 11 a.m. til 1 p.m. at the Beaver Island Community Center on Sunday and several other specials dinners to check out. You can see them on the Community Calendar. Don't forget to send your event to be posted on this calendar free of charge. No event too small! 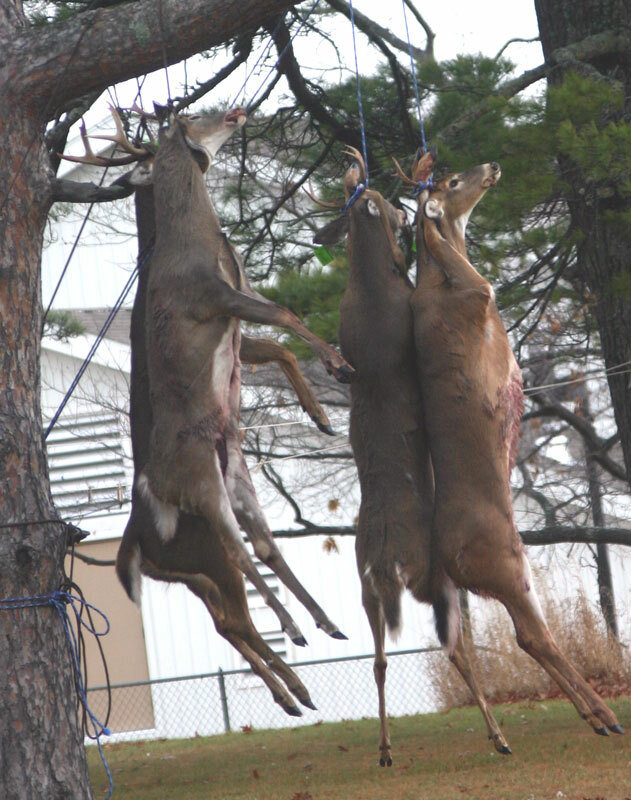 Sunday, November 16, 2008, found a few deer hanging around town. Here are a couple of pictures taken late Sunday. With snow flurries threatening throughout the weekend, it was Monday morning before there was enough snow sticking to the ground to call it, finally, winter weather. There was a temperature in the high 20's on Monday morning which allowed the snow to stay on the roadway until almost noon, and it is still showing on the sides of the road. The windy weather was pretty evident for most of the weekend. Here are two video clips of that windy weather. The first very short video clip is taken of the water between Beaver Island and Garden Island. The second is a slightly longer clip showing the spray coming off the bow of the Emerald Isle. The photos below are the links to the video clips, so click on the photo if you want to view the video clip. Remember that you need to have Quicktime and an Internet connection that is high speed to view the clips. Hope you enjoy them! The Beaver Island Christian Church wants you to know that their annual community Thanksgiving Dinner will he held in a different location this year. Since the Beaver Island Community School is using the Gregg Fellowship Center and the banquet tables from the church, the Thanksgiving Dinner will be held at the Peaine Township Hall at the normal time of 6:00 p.m. on November 27, 2008. Please tell your friends and neighbors! Same great food! Same good fellowship! Come as you are. Bring a dish to pass or a dessert to share if you can. 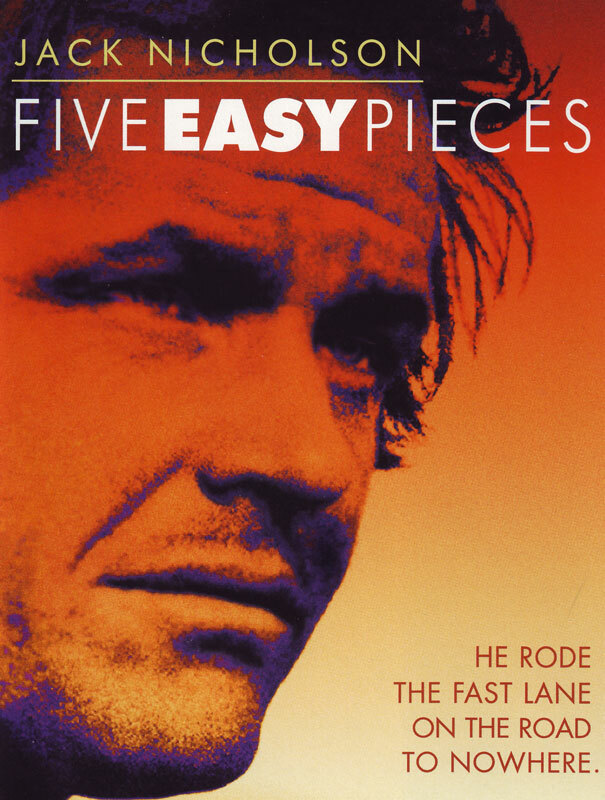 An eleven movie winter film series is coming to the Beaver Island Community Center, presented by a new movie club, the Beaver Island Film Fans. 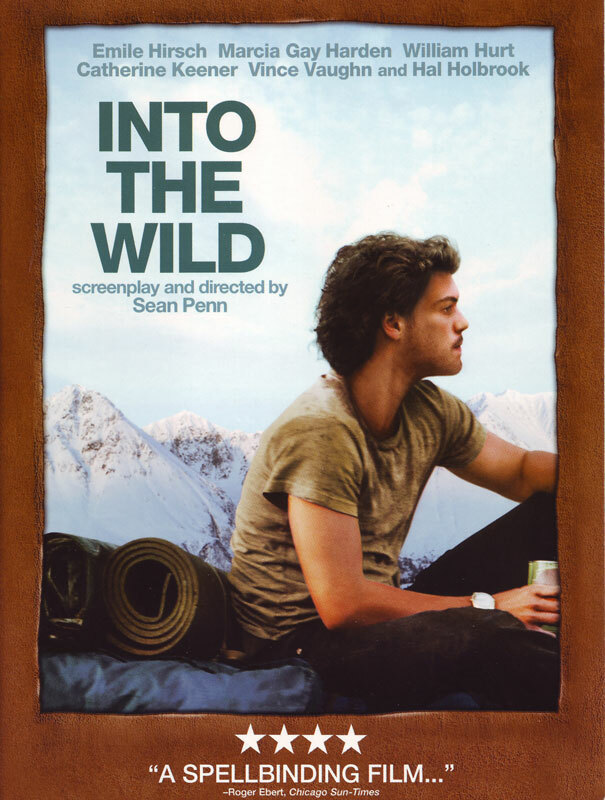 The series opens this Thursday, November 20, at 7:30 pm with the 2007 hit movie “Into The Wild” starring Emile Hirsch, William Hurt, Marcia Gay Harden, Hal Holbrook, Vince Vaughn, Catherine Keener and Jena Malone. The Community Center will be welcoming the first film in the series with free popcorn to all who attend. Twenty-three Film Fans club members worked together to nominate a list of their favorite movies, and then voted to select their top eleven films to make up the series. Movies in the series range form 1940 to 2007 in age, range from romantic comedy to thrillers, westerns to epic adventures, and international hits to edgy art. 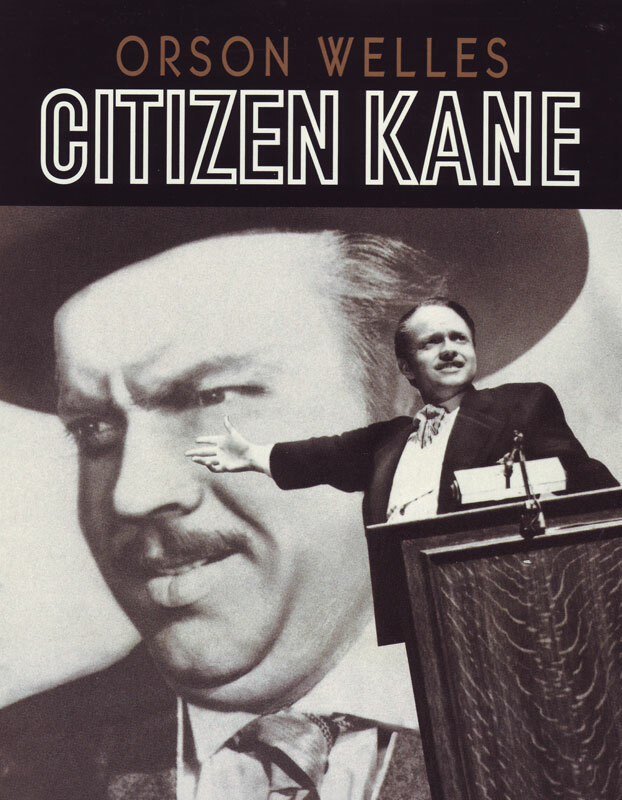 Included in the series is the American Film Institute's #1 American film, Citizen Kane. Beaver Island won the first game of the tournament against Hannahville, 6 goals to 1. In this game, Cameron got 2 goals and 1 assist, Dereck got 3 goals and 3 assists, and McCauley got 1 goal to provide the total of six goals. In addition, Bryan had 1 assist, Maeve had 2 saves, and Jewell had 1 save and 1 goal allowed. Beaver Island came up short in the game against the Mackinac Island Lakers. Bryan got both of the BICS Islanders' goals. Maeve had 3 saves, but the Lakers scored seven goals. The Islanders' season goal leader was Dereck with 17 goals and 9 assists. Directly behind in the assists was Cameron with 8. "Thanks to your previous support and a lot of help from our community partners, the Board and staff are proud to report a number of important accomplishments. Provided all Beaver Island residents and visitors with 24/7 local healthcare, regardless of ability to pay, thanks to the quiet fortitude and skills of Sue Solle, FNPC, who has practiced by herself for over a year. Hospice services are now available through BIRHC in partnership with Munson Hospice and Palliative Care in Traverse City. Trained personnel can provide comfort care to terminally ill patients on Bever Island and support to their loved ones. Rehired former provider Chris VanLooy, PA, to fill a staff opening. Chris did an excellent job for the community in the past and is very enthusiastic about returning. In the last few years she has acquired additional emergency room experience, making her even more qualified to handle the demands of practic on Beaver Island. Installed and activated digital x-ray equipment. Enhanced digital x-rays can now be transmitted instantly to off Island specialists with equipment purchased primarily with last year's $75,000 USDA grant $12, 500 from donations to BIRHC Specila Projects Fund. This grant will also make it possible for emergency room physicians at Charlevoix Area Hospital to view patients who are being treated at teh BIRHC through high resolution television monitors. Secured a $6,800 grant for new computer equipment to improve medical recordkeeping: working in partnership with Beaver Island EMS, BIRHC received the funds from the Grand Traverse Band of Ottawa and Chippewa Indians. Received two grants from the Charlevoix County Community Foundation: one to supplement USDA funding for digital x-ray equpment; the other to assist Hospice Helping Hands. Presented the Townships with a disaster plan to turn the Health Center into a short-term 23-bed hospital: a general local donation helped purchase supplies to make this possible. 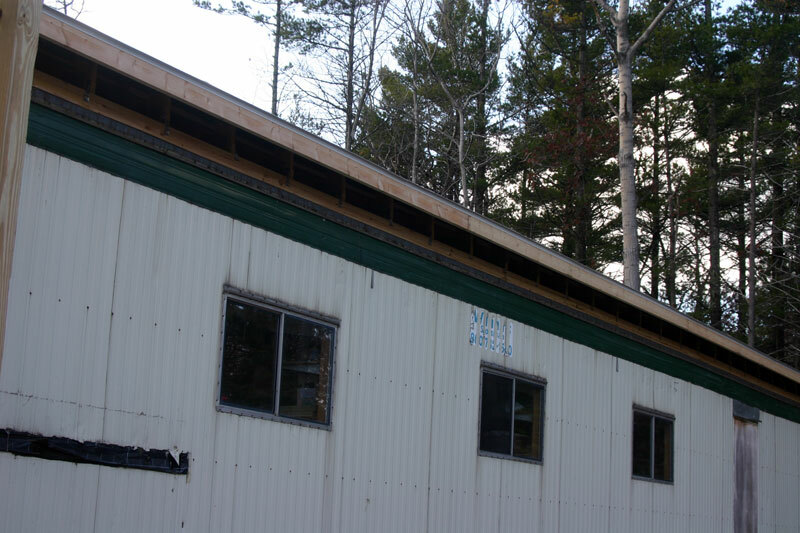 Provided the Beaver Island Fire Department with meeting space and distance learning connection that will save them $25,000 in expenses for mandatory continuing educaation and training. Expanded service to ensure easy access to excellent primary care as well as emergency stabilization. Please take a careful look at the enclosed list of healcare services. There are more care options than ever before, and we are always looking for new opportunities to serve you better." 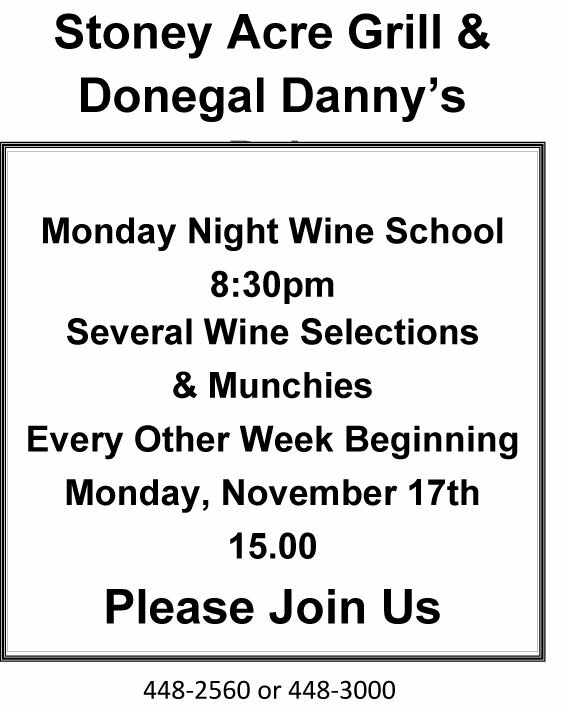 Wine School offered every other Monday night beginning November 17, 2008. 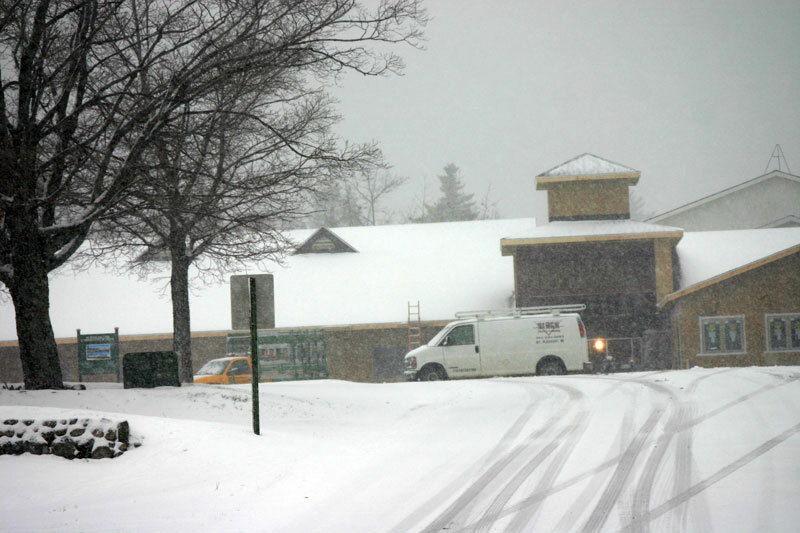  removal of snow from areas as determined through meeting with school administrator. Areas will vary depending upon actual location of students and may include snow removal at the temporary school locations.  all plowing must be completed by 7:30 a.m.
My bid is for $ _______ per hour for use of the primary equipment. I assure the Beaver Island Community School Board of Education that I will perform all needed snow plowing for the entire 2008-2009 school year. Unsatisfactory performance will result in forfeiture of the bid award.  Bids must be received in the school office by Friday, November 21, 2008, at 3:00 p.m.
 Beaver Island Community School reserves the right to accept or reject any or all bids. 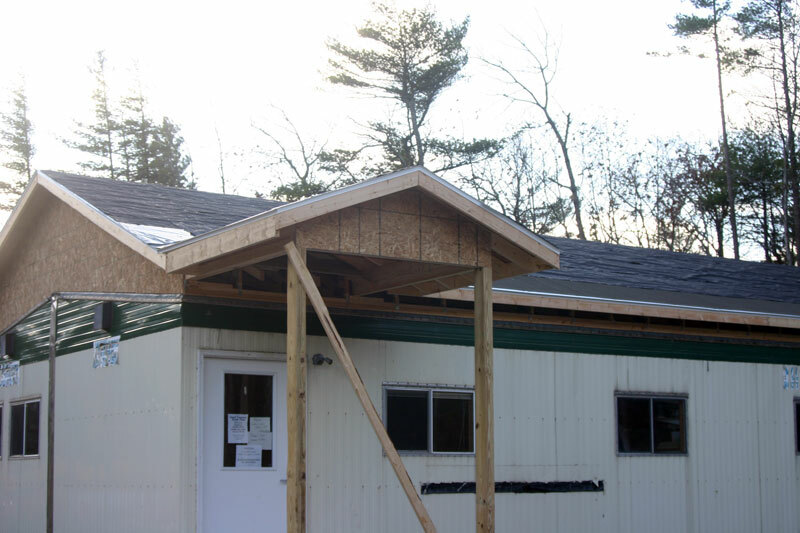 The National Honor Society at Beaver Island Community School has a new service project! This year (starting November 15, 2008) we are collecting and sending coupons to military members on a Naval base in Ikego, Japan . The program is called the Overseas Coupon Program and coupons are collected to provide soldiers and their families with ways to save money. The types of coupons that are acceptable are manufacturer's coupons and they can even be two months out of date (but no older). The types of coupons that are not acceptable are: assistance vouchers, food stamps, restaurant coupons, store coupons or any other assistance items. We will have drop boxes all around Beaver Island at stores, restaurants, churches, airports, boat company and both school locations. Thank you in advance for your donations. If you have a lot of coupons, it would be helpful if you bag, band, or clip food coupons together separate from non-food coupons. Thanks again, and if you have any questions, please contact one of the NHS members (Kristy Bousquet, Caitlin Boyle, Patrick Cull, Maeve Green, Alex Kuligoski) or their NHS advisor, Connie Boyle. This website reported that the wood chips available at the transfer station were $8 per yard if loaded by the township employee. 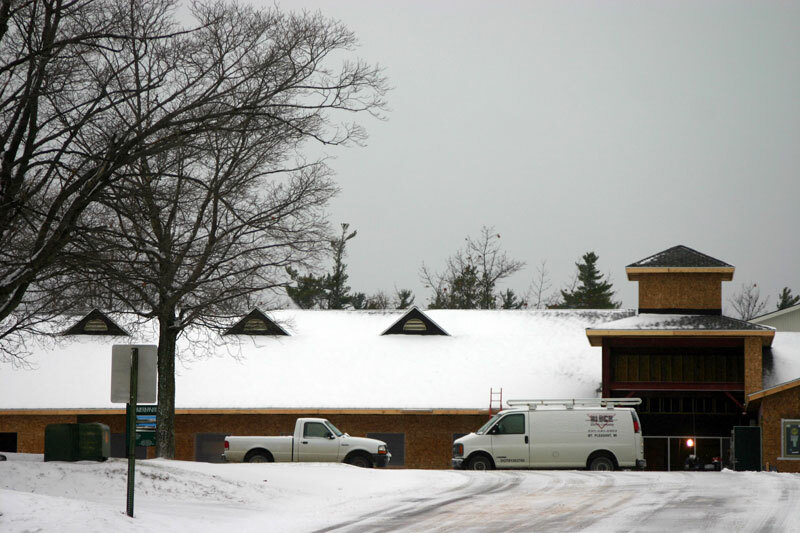 It was not know at that time the story was posted that the cost mentioned did not include a $25 minimum charge to have the woodchips loaded by the township employee. You can still get smaller amounts of wood chips, according to the transfer station, if you load them yourself for $6 per yard, but there is now a $25 minimum charge if the township employee does the loading. Senior Congregate Meal Program: The best deal on the Island for Seniors is off and running at the Beaver Island Senior Center ! Delicious daily meals are available starting at 11:30am and are on a donation basis. The suggested donation for Seniors 60 years and older is $2, and those under 60, $4. 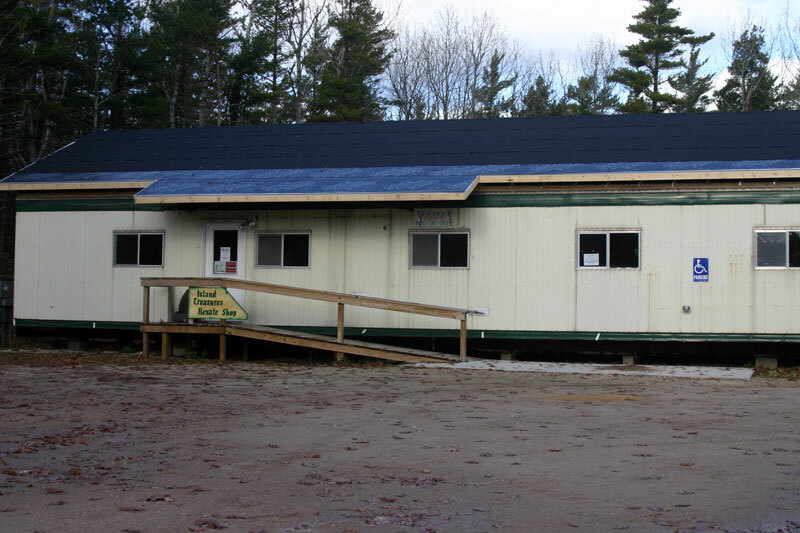 Monthly menus and sign-up sheets are available at the Community Center and will be available on line at www.pabi.beaverisland.org soon. Participants are encouraged to sign up on the sheets a week in advance to ensure enough food is ordered and planned for. To make sure your meal is reserved for any particular day, please call Ann at 448-2022 by 10:30am. Birthdays will be celebrated monthly with a special lunch and dessert on the “Middle Wednesday” of the month—that is, the Wednesday closest to the 15th . November's Birthday lunch celebration will be on Wednesday the 12th . Sunday Dinners sponsored by the Charlevoix County Commission on Aging: are happening and the whole community is invited to attend! Join us November 16th and December 14th from 11am to 1pm at the Community Center for fabulous fare, fun, and prizes! Again, dinners are on a donation basis. The suggested donation for Seniors 6o years and older is $3, and those under 60, $6. 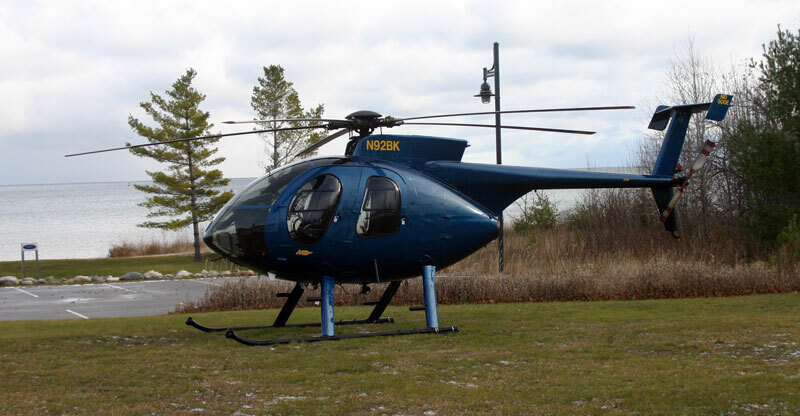 Free Senior Transit: is available through 2009 for Seniors residing in Charlevoix County ! Available 6am to 6pm Monday thru Saturday, all you have to do is call Sherry or Lisa at the Boat Dock, 448-2210, and schedule your pickup and return. All rides are on a first come, first served basis so it is best to call at least a day ahead to schedule your ride. Keep this in mind when the weather starts to turn—we can have a great “car pool” to the Senior Center for some activities, a nice hot lunch, and a visit! Stay tuned to www.pabi.beaverisland.org and visit the Beaver Island Senior Center for more Charlevoix County Commission on Aging exciting announcements, like Bingo, Wii Challenges, Computer Assistance, Yoga and more! Senior Events and Activities brought to you by the Charlevoix County Commission on Aging at the Beaver Island Community Center ! Senior Congregate Meal Program – “Fast Food” on the Island ! Delicious and nutritious daily meals are served up fast and hot! Monthly menus and weekly sign-up sheets are available at the Community Center and will soon be available on-line. Participants are encouraged to sign up in advance on a weekly basis, for ordering purposes. Don't worry if you can't make it that day—we'd rather have too much than too little! If you didn't sign up in advance but want to join in if possible, just call Ann—or leave a message—at 448-2022 by 10:30am. Suggested donation for Seniors 60 and older is $2, and those under 60 $4.  Every Monday 12:45 pm - BINGO! Prizes, suspense, fun and free coffee!  Every Tuesday 12:45 pm - Introduction to Wii! The ultimate in “virtual fun!” Come experience the “Wii World”! From bowling to balance, golfing to “gaming” and—virtually!—everything in between, the Wii system can engage you on a surprising adventure! Come experience the possibilities as we explore the Wii system together!  Every Friday 12:45 pm – Classic Friday “Feature”! Enjoy a blast-from-the-past movie, recording or serial in the Hangout! Your suggestions for presentations are welcomed, investigated and appreciated! Ma ‘n Pa Kettle & Bill Cosby are some of those that are being planned for December. Celebrate the month's Senior Birthdays with cake, ice cream and “extra” goodwill! Great food, company and fun for the whole community! Look for new things every month! Suggested donation for Seniors 60 and older is $3, and those under 60 $6. Join us for an informative live presentation on the services and resources available to you through your Charlevoix County Commission on Aging.! Questions/suggestions are welcomed. Join in and celebrate as we decorate and light our first “official” Community Center Christmas Tree! Holiday music, fun and potential caroling—participants willing—await!  December 14 th – Sunday Scrabble “Scramble” 1 pm - ?! Show your Scrabble-stuff at an after-dinner aperitif of Scrabble-play to kick-off a weekly competition of vocabulary! Experienced “Supervisory volunteers” needed! Support our local school kids by attending their Christmas program! It's sure to warm your heart and holiday spirit! FREE Senior Transit is available thru 2009! Any senior residing in Charlevoix County/Beaver Island is able to obtain free transportation through the Charlevoix County Transit program simply by calling Sherry or Lisa at the Boat Dock at 448-2210 and scheduling their destination and return trip. Since all rides are mapped-out and scheduled on a first-come, first-served basis it is recommended that you schedule at least 24-hours in advance. 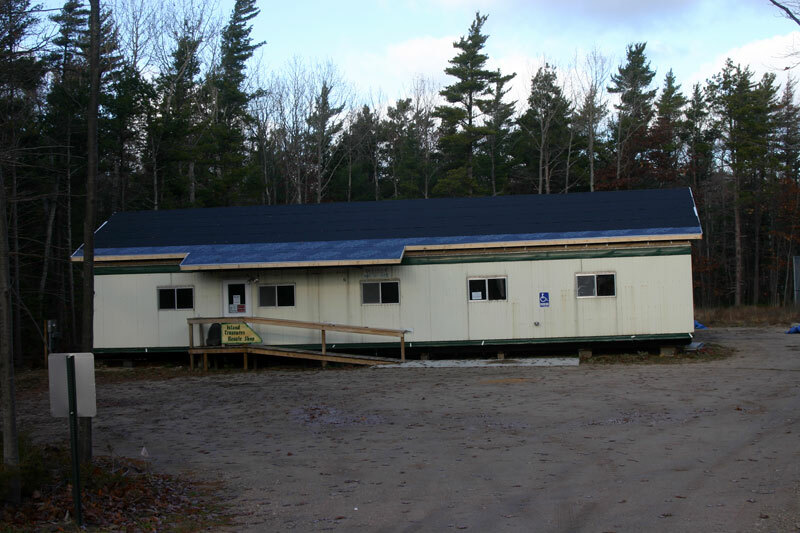  Stay Tuned to www.pabi.beaverisland.org and visit the Beaver Island Senior Center at the Beaver Island Community Center for updates on Activities, Events, Movies and more! 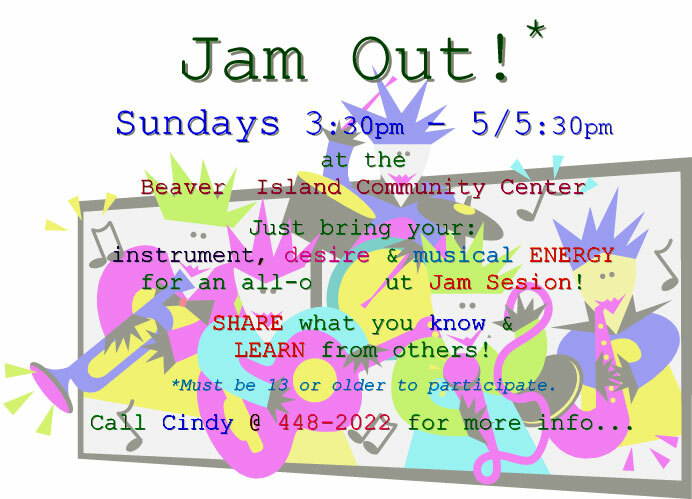 On Sundays from 3:30-5 or 5:30 p.m., Cindy Cushman has organized a "Jam Out" Session at the Community Center. Bring your instrument and your desire to learn or your desire to help teach others. You must be at least 13 years of age to participate. For further information about any BICC events, please call the Community Center at 448-2022. 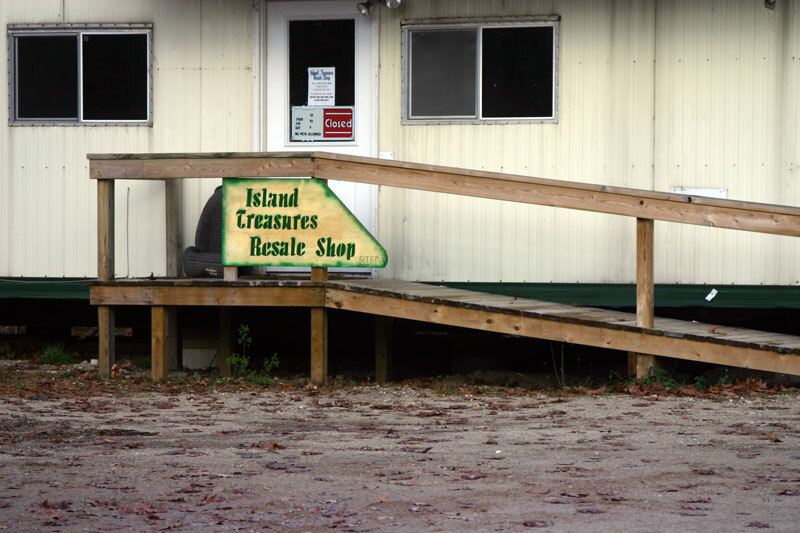 The Transfer Station would like to remind everyone that certain items need to be brought in by November 29, 2008, so that we can get everything off the Island before the boat stops running. These items include but are not limited to: stoves, dishwashers, refrigerators, freezers, and furniture. Also anyone who has outstanding gaylords should also bring them in by November 29th. It is important to remember that in the winter the tranfer station has limited storage space, as they are always filling boxes with recyclables and have to store them. 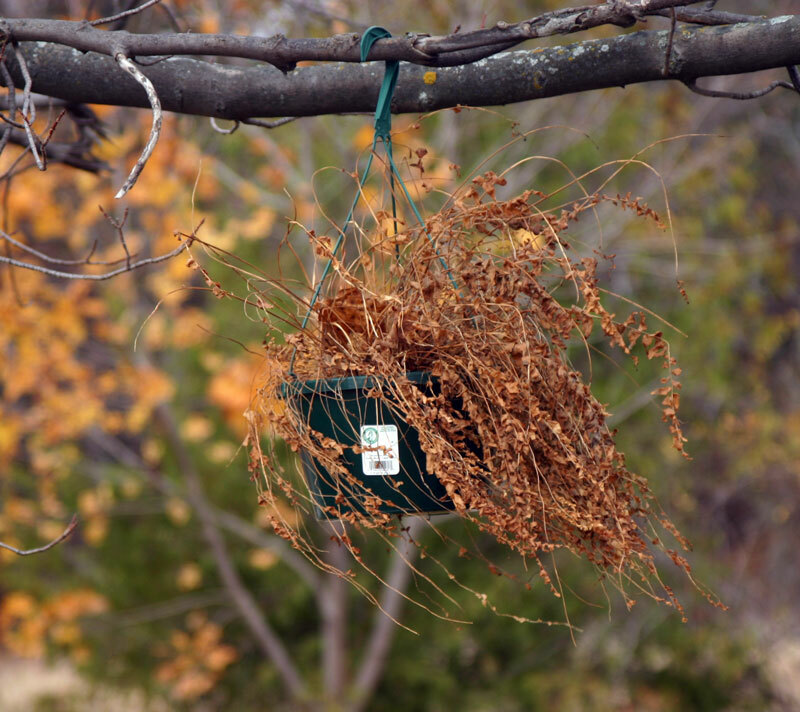 Plus they also have to store items they need to get through the winter. Some skirting and other improvements are coming, too. The Beaver Island Rural Health Center announced that flu shots will be provided without charge for all kids ages birth to 19 years of age. Call for an appointment. Absolutely no charge will be assessed. According to the BIRHC, very few parents are taking advantage of this free vaccination. You can't beat the cost of $0.00. Sally Lounsberry emailed the correct location of this pot, but one more week might get a few more responses. 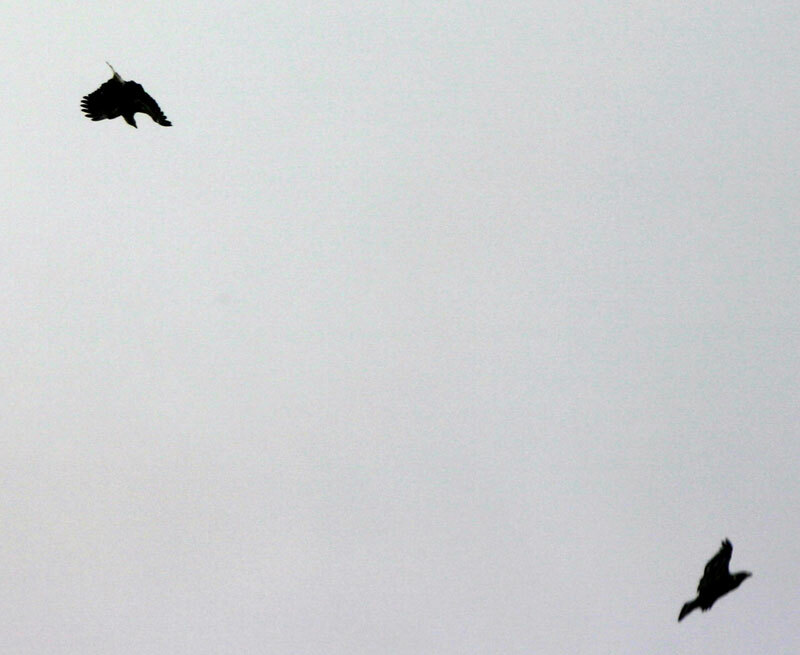 How observant are you? You probably drive by this any day you come into town. 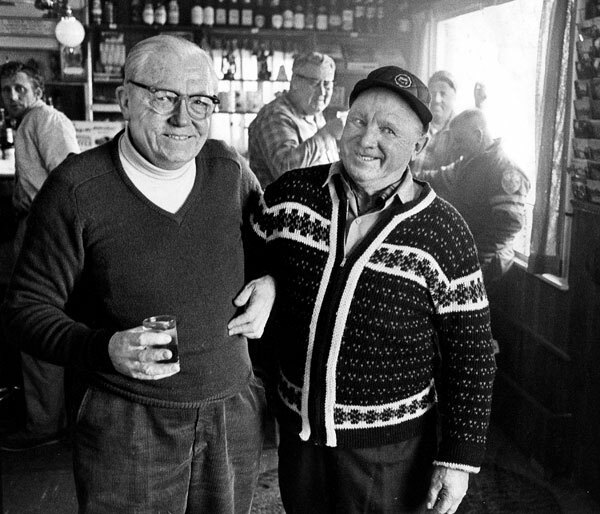 Nicknames have always been part of the social history of Beaver Island. What was Joe Sendenberg's nickname? Several people were able to provide the correct answer to this question including Joyce Bartels, Tony Gatliff, Paul Nelson, Mary Palmer, Carol LaFreniere, Marie LaFreniere, Phyllis Moore, and Frank Solle. This produced a mystery of sorts because those that did know that his nickname was "Joe M'Fro" did not know how he got his nickname. It appears that many youngsters have difficulty pronouncing the name "Joe" and create nicknames to replace it. Some use the nickname "Buddy" which seems to come from brother, brudder, budder, and finally to "Buddy." Others go a different direction. This mystery caused many phone calls to many people before the mystery was finally solved. The final clue came from Joseph "Buddy" Martin, who talked about the favorite songs of Joe M'Fro, "Makes No Difference Now" and "Silver Bells." And a favorite saying of Joe M'Fro, "All the fools ain't dead yet." Phone calls were made to Rose Connaghan, Russell Green, Art Johnston, Helen Pike, Madonna McCafferty, Skip McDonough, Lawrence and Winnie McDonough, and personal contacts were also made with Phil and Lil Gregg. Calls were made to Ed Wojan, John Gillespie, and Ed Palmer. Several people were suggested as possible helpers in solving this mystery, and each was contacted either by phone or email. Buddy Martin's clue led me to call Joe M'Fro's daughter, who lives in East Jordan. Her husband, Francis Ricksgers, acted as relay through the phone. Anna Marie Ricksgers told this story: "When Joe was a little boy, he had two brothers, Leroy and LaFon. I'm not sure which one, but I think it was LaFon who could not say 'Joe.' He called his brother 'm'fro' and the nickname was used from then on." Katherine Ricksgers is a cousin and was one that was not contacted. Francis went to school here on the Island when a youngster and attended the Roosevelt School. The forty minute phone call provided a wealth of information from these older generation social historians. Fascinating, to say the least! This week's trivia question is in the form of a picture and requires some research and some social history. Can you name all the people in this photograph provided by Frank Solle. Two of them are named "Joe" and one is Joe M'Fro. Can you name the others?